Kyoto has some fine luxury hotels, including offerings from top international hotel brands. I’ve personally inspected all the hotels in this category. 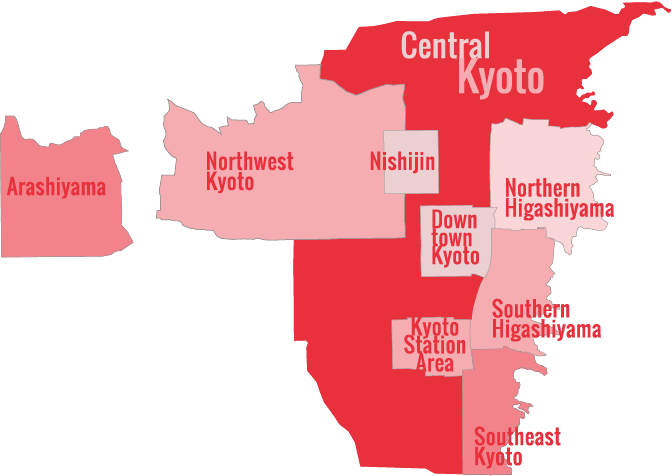 Unlike Tokyo, which is awash in luxury hotels, Kyoto has a limited number of true luxury (international class) hotels. Fortunately, those that do exist are of a high standard and are very used to receiving international guests. So if you want a little comfort in Kyoto, have a look at the list below. 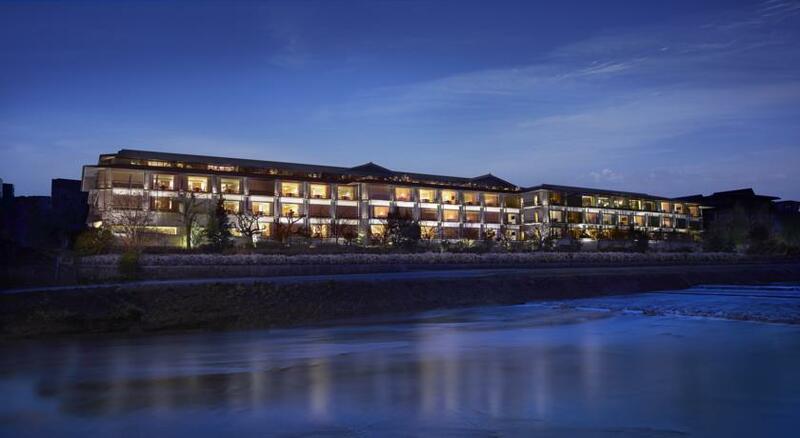 The Ritz-Carlton Kyoto has arguably the best location of any hotel, right on the Kamo-gawa River and just steps from downtown. The rooms are spacious and comfortable, many with superb view of the river and the Higashiyama Mountains. It’s another superb choice. The Four Seasons has a great location in Southern Higashiyama, a stunning building and grounds and some fantastic rooms. It’s a tranquil refuge in a busy city. The Kyoto Hotel Okura is a fine hotel with extremely reasonable rates and an unbeatable downtown location (it’s directly connected to the Kyotoshiyakusho-mae subway station in the middle of downtown). It’s highly recommended. The Hotel Granvia Kyoto is an excellent hotel located directly above Kyoto Station, making it the city’s most convenient hotel for transport connections. Rooms are on the large side and well kept and there are countless restaurants with a few minutes of the lobby. It’s highly recommended. An excellent hotel in a commanding location, near the subway and the main Higashiyama sights. A reasonably priced luxury hotel not far from the Kyoto Gosho (Imperial Palace), Kyoto Brighton Hotel is often overlooked but deserves more attention for its excellent restaurant, large rooms and capable staff. If you want the feeling of being away from it all and surrounded by soothing natural scenery, the Suiran is a great choice. It overlooks the Hozu-gawa River in Arashiyama, and it’s just a short walk from the famed Tenryu-ji Temple, the Arashiyama Bamboo Grove and the sublime Okochi-Sanso Villa. Luxury hotels in Japan are pretty much like those you’d find anywhere else in the developed world. The main difference worth pointing out is that gyms and pools are less common in Japan, and where they exist, they tend to be small and cost an additional fee to use. Hopefully, Japanese hoteliers will get up to speed in this regard in the near future. Otherwise, luxury hotels are everything their foreign counterparts are, with superb rooms, excellent onsite restaurants and the one thing that must drive foreign hoteliers mad with envy: that world-famous Japanese service. If you’re going to visit Kyoto, the heart of traditional Japan, you really should try a night in a good ryokan (traditional Japanese inn). When my friends, family or clients visit Japan, I usually recommend that they spend their first night in a great ryokan and then move to a hotel like the ones listed above. See my page on the best ryokan in Kyoto. Another excellent option is to stay in a traditional Kyoto machiya, or townhouse. See my recommended list of Kyoto machiya.